Chinedu Eze writes about the recent picketing of the Murtala Muhammed Airport domestic terminal in Lagos by aviation unions and the huge loss incurred by airlines and other businesses. 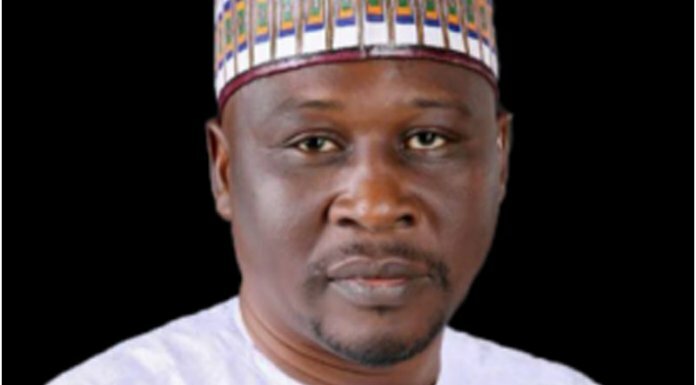 Operators have continued to count their losses estimated to be over N500 million, after a recent siege laid on the first privately-funded terminal in Nigeria, the Murtala Muhammed Airport Terminal Two (MMA2) operated by Bi-Courtney Aviation Services Limited (BASL), a member of the Resort Group by trade unions in the aviation sector. 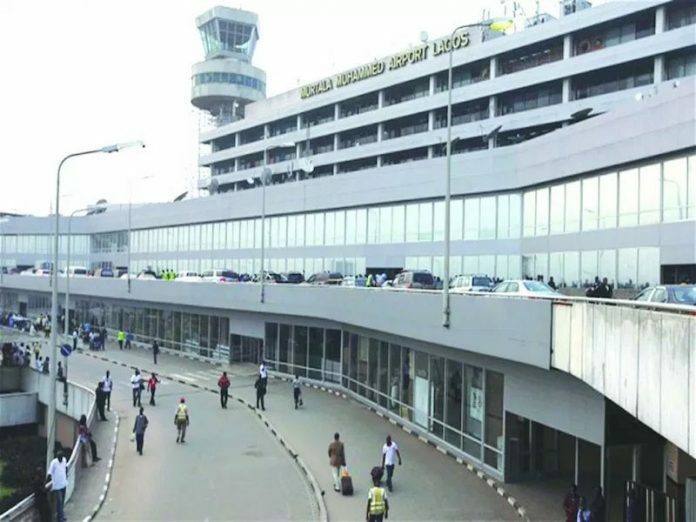 The unions namely the Air Transport Services Senior Staff Association of Nigeria (ATSSSAN), the National Union of Air Transport Employees (NUATE) and the National Association of Aircraft Pilots and Engineers (NAAPE), had paralysed activities at the terminal for more than 48 hours from the wee hours of Tuesday to midnight of last Wednesday. The grouse of the unions was the disengagement of 27 employees by the company, who the unions said were workers who showed interest to join them, while BASL said they were disengaged because of either old age or lack of diligence in their duties. The unions therefore barricaded the main entrance and exit of the terminal building with different vehicles as early as 5a.m. on Tuesday, last week, to prevent access to the facility. Thousands of intending passengers were stranded while the face-off lasted. Traffic on the ever-busy Mobalaji Bank-Anthony Way and other adjoining areas was heavy all through the period the action lasted. 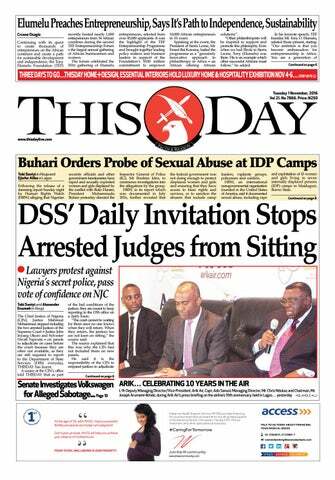 THISDAY gathered that despite the order of a Federal High Court, sitting in Lagos and presided over by Mr. Justice I. N. Buba, restraining them from disrupting the operations of MMA2, operated by BASL, the unions shut down the terminal, claiming they had not received the court order. But inside sources said even when they were served copies of the order, they refused to collect it. The unions barricaded the main entrance and exit of the facilities with different vehicles in flagrant disobedience of the court order in suit number FHC/L/CS/1641/2018. With this action, many intending travellers, workers and business owners in the terminal could not access the building, while traffic on the Mobolaji Bank-Anthony Way was chaotic. BASL’s spokesman Steve Omolale, had condemned the action of the unions and expressed surprise that it occurred despite the court order, which restrained them from disrupting the operations of the first privately-funded terminal in the country. But the unions excoriated BASL and alleged that all the efforts made to amicably resolve the crisis was rebuffed by the organisation and insisted that the company sacked the 27 workers because they joined the labour unions. General Secretary of NUATE, Olayinka Abioye alleged that BASL repudiated the efforts to resolve the imbroglio when the Nigerian Civil Aviation Authority (NCAA) stepped into the matter, adding that the company engaged in brickbats with the unions. Besides BASL, also hit by the effects of the strike were the airlines, the banks, concessionaires and other businesses operating at MMA2, which could not access the terminal. 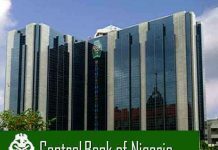 Specifically, the airlines, including Dana, Arik, Aero, Med-View, Azman and Max Air estimated their losses to be in millions of naira. 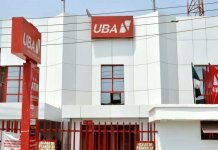 Banks operating cash centres at the terminal are: GTB, United Bank for Africa (UBA) and Zenith Bank, while other major service providers include Spar, the eateries, bookstalls, protocol services, car hire operators, cargo freighters and fuel suppliers, among others, were all affected. There were also the concessionaires, such as Spakleen Professionals, Precise Cleaning Services and Tow-To-Go, among others. In fact, the spokesman for Dana Air, Kingsley Ezenwa, said it lost over N100 million on the first day of the lock down of the terminal and added that if it had continued, the airline would have been forced to downsize. However, despite the strike, electricity and water supply, as well as other facilities at MMA2 were running throughout the duration of the strike, as all efforts by the unions to gain access to the terminal, its power house with four giant generators and other facilities were vehemently resisted by the management of BASL. When it occurred to people whose businesses are in MMA2 that the strike could disrupt their businesses further, they had to embark on a counter-protest on the day two of the strike. To show their disapproval of the action, the concessionaires, customers, businesses and employees, numbering over 2,000 embarked on a peaceful counter-protest. They had accused the unions of deliberately planning to sabotage their businesses. They equally carried placards with various inscriptions, such as “Over 2,000 staff, families suffering”, “FG, save our souls”, NUATE/ATSSAN, respect court orders”, “NUATE/ATSSAN, let Bi-Courtney be” and “BASL is a responsible employer of labour”, among others. While the strike was on, most airlines at MMA2 relocated their operations to the General Aviation Terminal (GAT), while Aero Contractors moved its operations to its terminal. 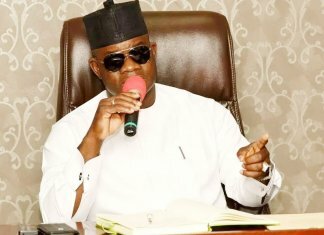 This amounted to a huge loss of revenue to BASL and other businesses at MMA2 and a gain for the Federal Airports Authority of Nigeria (FAAN) which is managing the GAT. However, this understandably increased the chaos at GAT as the facilities could not accommodate the sudden upsurge in passenger traffic. THISDAY gathered that the Aviation Security (AVSEC) of FAAN was overwhelmed by the upsurge in the number of passengers. Concerned stakeholders, who expressed worries that this was the greatest threat to the aviation industry, were alarmed that this could be happening at a government facility, noting that the labour unions’ strike exposed the inadequate facilities at GAT to cope with any further increase in the number of the airlines there. 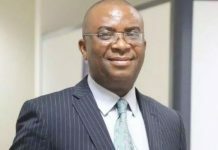 Industry stakeholder and CEO of Centurion Securities, Group Captain John Ojikutu advised labour to deal with BASL instead of disrupting the flights of airlines, thus leaving passengers stranded and killing the industry. “Go to the corporate office of Bi-Courtney on the first floor of MMA2 to disrupt their work not the passengers, airlines and businesses in the terminal. “I once talked to and advised the union officials that I am not against whatever they plan to do with the management of Bi-Courtney, but let the rights of other persons not directly related to the issues be infringed upon,” Ojikutu said. Also the former Managing Director of Virgin Nigeria Airways, Captain Dapo Olumide during a recent meeting of the Aviation Round Table (ART) noted that there is too much labour interruption of activities in the aviation sector, which impairs airline operations and creates air of uncertainty. “We have a lot of union restiveness. The unions often block passengers from entering to board their flights in Lagos and other places. What does that achieve? The airlines depend on daily flight movements to pay their bank loans; so if you stop them for even one day they are not going to meet their bank obligations. We don’t understand that,” he said. After laying siege to MMA2 for two days, the unions and BASL eventually agreed to call off the strike action. This was after both parties had signed an agreement brokered by the Nigerian Civil Aviation Authority. While Bi-Courtney agreed to recall the disengaged workers and allow unionisation in the terminal, the unions agreed to call off the strike. This brought a lot of relief to all the stakeholders in the sector. A letter signed by BASL’s Group Executive Director, Mr. Roger Whittle and Group Head, Human Resources, Mr. Ola Azeez, entitled: “Re: 15-Day Ultimatum to Recall and Reinstate Workers” reads in part: “Staff of BASL are free (as they have always been) to exercise their right of association by indicating their willingness to join any of the aviation unions. The management shall deduct and remit check off dues as required below. At several fora aviation unions have never hidden their disdain for airport concessions. The unions have opposed government’s plan to concession the airports because they feel the staff of FAAN would be left in the lurch, s it happened with Nigeria Airway workers. But the MMA2 concession has been the most enduring since 2007, surviving all sorts of assaults from the unions. Travel expert, Ikechi Uko said that MMA2 has shown that concession could be a solution to airport infrastructure challenges; that the terminal remains the most functional and most modern facility in Nigeria. He said that before Senegal and Ghana built their airports which came on stream this year, MMA2 had remained the best airport in West Africa, which showed the benefits of concession and also showed that BASL could effectively manage other airport facilities in the country. Also in a recent interview, the Chairman and CEO of Air Peace, Allen Onyema, expressed support for government’s plan to concession the airports, noting that it would be the solution to obsolete and inadequate airport infrastructure. Stakeholders believe that since BASL has given in to the unions’ demands, it is now high time for them to reciprocate by supporting the MMA2 concession to reach its full potential. Many industry insiders are also of the view that if the unions support the growth of the industry they would be circumspect in the way they carry out their picketing activities because if the aviation industry is identified as sector charactrised with incessant industry unrest, it would discourage investors from committing funds in the sector.